Melusine, mermaid to the Plantagenets. A modern “illumination” by Troy Howell. I was very much looking forward to this concert with its collation of beautiful, early Romantic works all written within 35 years of each other and during the afternoon I listened to recorded interpretations to refresh my memory of them: Maria Joao Pires with Daniel Harding and the Swedish RSO for the Beethoven (a 1994 recording), Yannick Nezet-Seguin and the Chamber Orchestra of Europe (2014) for the Schumann, and Claudio Abbado and the LSO for the Mendelssohn (1988); a good cross section of interpretational styles over the last 30 years. One should not, generally, compare recorded music with live. One is essentially a photograph whilst the other is a painting: technical perfection against the raw result of human artistic endeavour. Yet I wasn’t comparing the playing, but the interpretation, and for this I point the baton at guest conductor Emmanuel Krivine, a musician whose pedigree is considerable, and whose style, at least on the night, was deeply conservative and – too often – too slow. I was reminded of Klemperer or Sir Reginald Goodall, but without their depth. I was not inspired. Neither was I convinced by the necessity of putting the double basses on the left and separating the horns from the trumpets and trombones either side of the woodwind. For a very classical conductor, this was a somewhat enigmatic move. I was wryly amused at the passing of time and customs that have led to these three works, Mendelssohn’s Overture The Fair Melusina, Beethoven’s Piano Concerto no 4 in G, and Schumann’s Symphony No 4 in D Minor (1851 revision) being put on the same programme , as they were all very badly received at their premieres, but perhaps this has, with the passing of time, become a badge of honour. 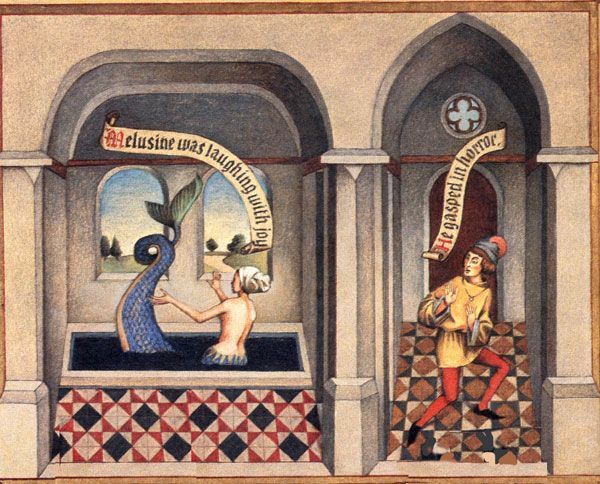 The legend of Melusina is almost too ridiculous to recount but involves a maiden turning into either a sea monster, mermaid or serpent one day a week as punishment for favouring a knight; make of it what you will. The piece is meant at times to convey the rippling of the sea and the manliness of the knight, but I don’t go with these interpretations. Given the storyline it is an eleven minute work of considerable meatiness, if not in the Ruy Blas or Fingal’s Cave class. The SCO’s playing was sound with some notable results from the wind section, but overall the impression was an almost ponderous interpretation lacking spontaneity or attack. This from the people who gave you a simply amazing rendition of Brahms’s four symphonies but four months ago. Not a question of playing, but interpretation. Everyone knows Beethoven’s Fourth Piano Concerto in G, but I wonder if they realise how revolutionary it was at the time, and remains today. A brief solo piano introduction followed by a long orchestral interlude; the orchestra attacking aggressively followed by plaintive murmurings from the piano, almost as if piano and orchestra are in separate rooms and we can hear them both. It is a glorious work and the second movement Andante con moto divine. Chamayou obliged us with an encore of the second movement of a Haydn sonata, restful, beautifully played, clear and well phrased. The final work, Schumann’s Symphony No 4 in D minor bears the opening remark in my notebook of “Too slow!”. It was a rather pedestrian performance lacking in verve. It was as if, as for much of the evening, notwithstanding some very good orchestral playing, the music was somehow struggling to get out. The second movement contained some wonderfully rich string playing. In the Scherzo the horns brought some liveliness to an otherwise rigid interpretation. The spirited, energised finale Langsam-Lebhaft at last gave one a real lift and the final 20 second coda an insight into what this great little orchestra is capable of. 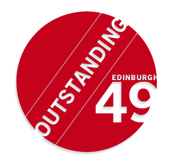 Visit Edinburgh49 at the Usher Hall archive.